Easy Blueberry Muffins are super quick and simple to make from scratch! 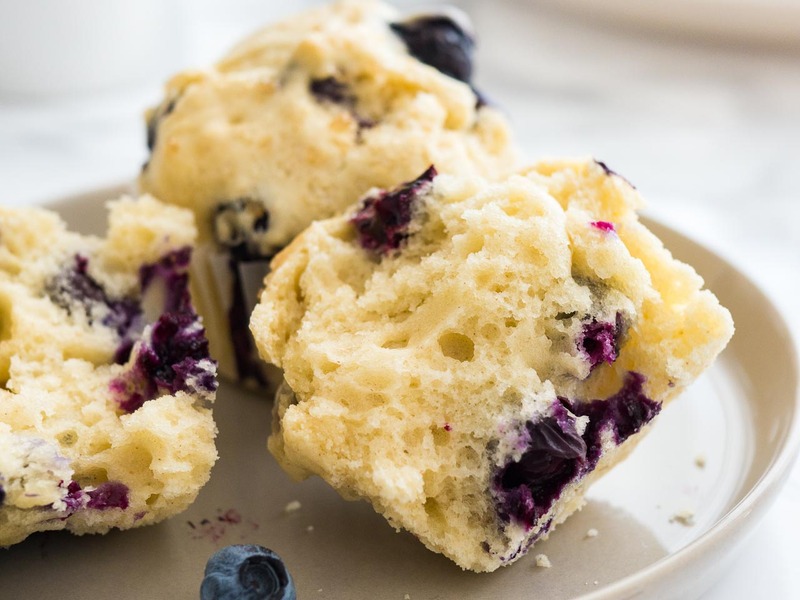 These bakery style muffins are bursting with fresh blueberries and are perfect for breakfast or brunch. Easy Blueberry Muffins are ridiculously easy to make and really taste like muffins and not like cupcakes! These are heavier-textured muffins with crunchy sugared tops that are not too sweet and are filled with plump, juicy blueberries. 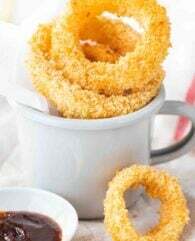 They make a satisfying breakfast or afternoon snack! 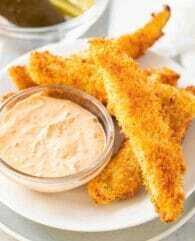 This recipe is super simple and easy to throw together. 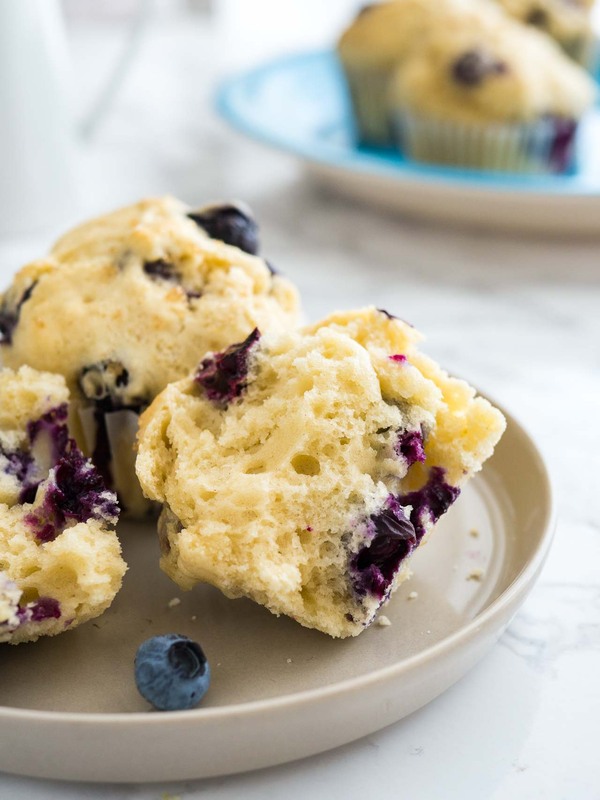 I wanted to make a blueberry muffin recipe that really focuses on the flavor of the berries and uses simple ingredients that I have always at home. Sometimes muffin recipes can get really elaborate and that’s not a bad thing, I love a fancy tasting muffin with creamed butter and streusel topping. 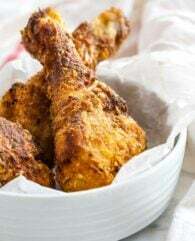 But sometimes you’re craving something quick and easy and this is when this recipe is perfect. You can make this recipe even easier and make it all in one bowl. Just use a big measuring cup and mix all the wet ingredients in there. And if you have a little bit more time I added a few variations to upgrade these easy blueberry muffins with a few simple add-ins. 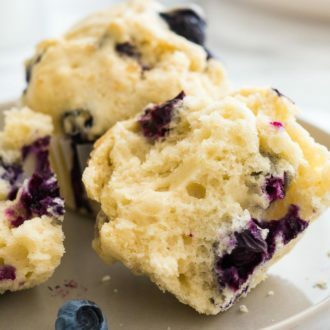 This straightforward recipe really is a convenient AND easy starting point for so many delicious blueberry muffin variations! 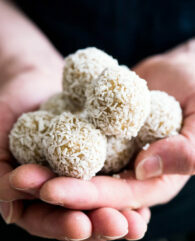 You can also make this recipe in a mini muffin pan or jumbo muffin pan. For mini muffins bake them for 11-12 minutes at 350°F the entire time. To make jumbo muffins increase baking time to 28-30 total minutes: 5 initial minutes at 425°F and 23-25 minutes at 350°F. Keep an eye on them while they are baking! You can make these with fresh or frozen blueberries! 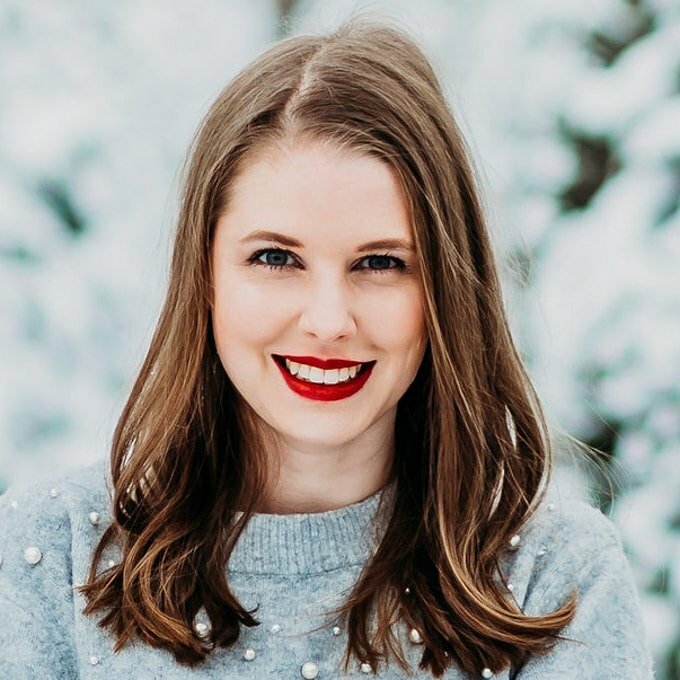 If you use frozen, don’t thaw the blueberries and be extra gentle while folding in the berries because they are more prone to bleed into the batter. The batter should be thick and somewhat lumpy. It should not be runny or extra thick like dough. If the batter is too runny add a tablespoon of flour at a time until correct consistency. If the batter is dry, add a tablespoon milk or buttermilk at a time until correct consistency. Lemon Blueberry Muffins: Add 1-2 tbsp lemon zest, 3 tbsp fresh lemon juice, and 3 tbsp more sugar. 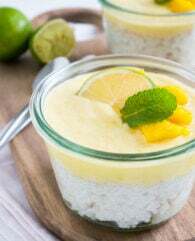 Add a Lemon Glaze: Mix 1/2 cup powdered sugar and 1 tbsp fresh lemon juice until you have a thick glaze. Drizzle over cooled muffins. 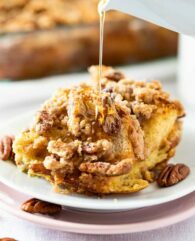 Add a Streusel Crumb Topping: Combine 1/3 cup flour, 1/4 cup light brown sugar, and 1/2 tsp cinnamon then stir in 3 tbsp melted butter and mix until crumbs form. Evenly sprinkle over muffins and gently press into the batter. 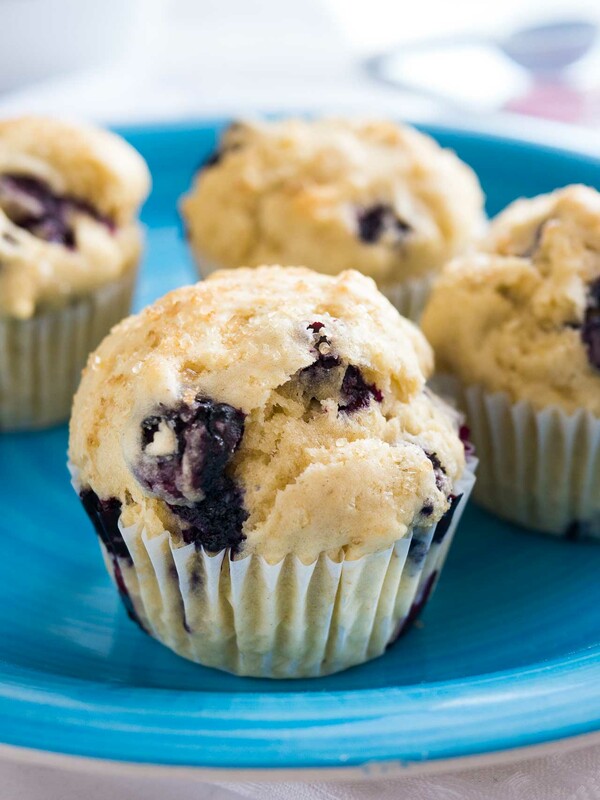 Berry Blast Muffins: Add half blueberries, half raspberries. 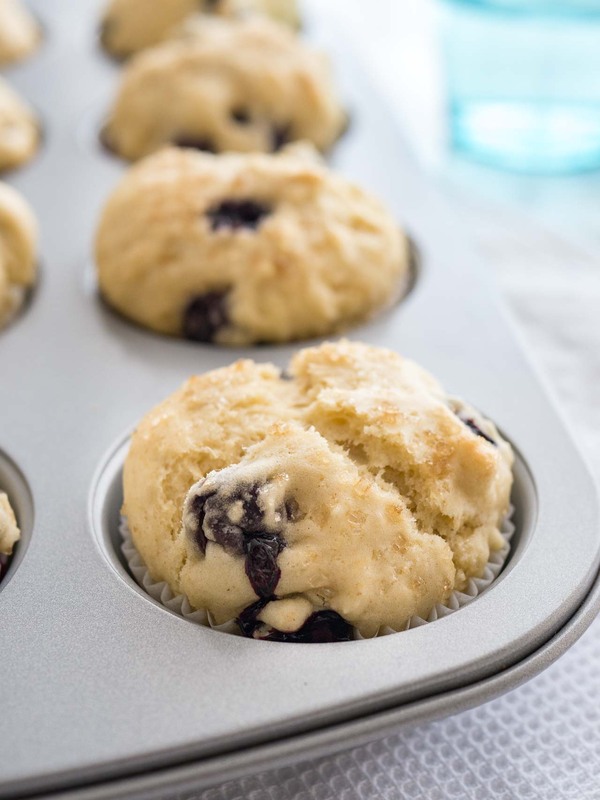 Buttery Blueberry Muffins: Use melted butter instead of vegetable oil for a buttery flavor. 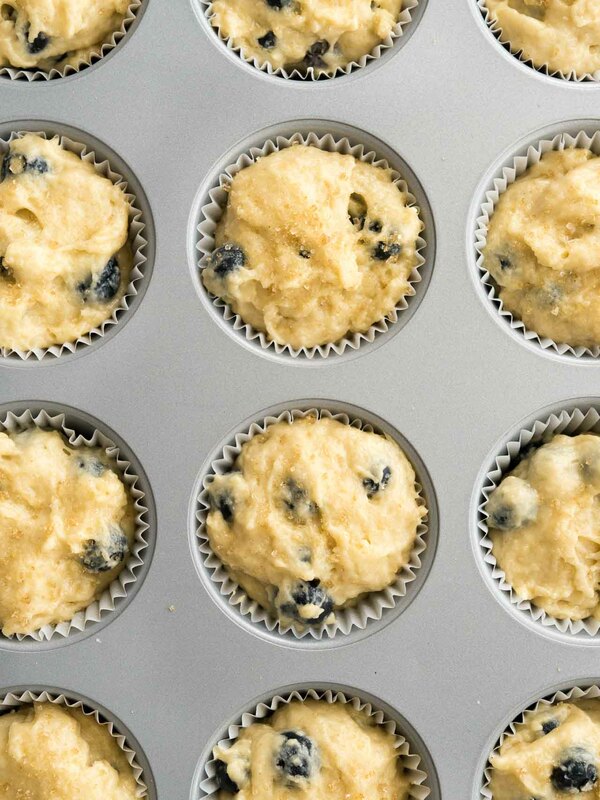 Vanilla Blueberry Muffins: Scrape the seeds from one vanilla bean and add them to the batter. Add 1/4 cup more (3/4 total cups) sugar and 2 tbsp more buttermilk for a more dessert-like muffin. Poppyseed Blueberry Muffins: Add 2 tbsp poppy seeds and the zest of 1 lemon. Muffin Tin: I love this muffin pan! It comes with a lid so it’s easy to transport baked muffins or cupcakes and it’s super easy to clean, everything slides right off. Preheat oven to 425°F (220°C) degrees. Line a 12-cup muffin pan with muffin liners. Set aside. In a medium bowl, toss together flour, baking powder, and salt. Mix with a fork until combined. Set aside. In a large bowl, whisk together eggs and sugar until combined. 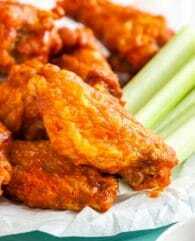 Mix in vanilla extract, buttermilk, and oil. Stir until combined. Fold dry ingredients into wet ingredients and mix everything together by hand until just combined. Avoid overmixing. The batter will be thick. Toss blueberries with 1 tbsp flour, shaking off any excess flour. Fold in the blueberries. Use an ice cream scoop or spoon to scoop batter into prepared muffin pan. Fill the cups all the way to the top. Top with a sprinkle of coarse sugar if desired. Bake at 425°F for 5 minutes. Then reduce oven temperature to 350°F (180°C) and continue to bake for 15 minutes until muffin tops are lightly golden and a toothpick inserted in the center comes out clean. Allow to cool for 5 minutes in the pan, then transfer to a wire rack to cool completely. If you don't have buttermilk, add 1 tbsp fresh lemon juice to a large measuring cup. Add enough whole milk to make 1 cup total. Stir and let sit for 5 minutes. When it's ready, the milk will be slightly thickened and you will see small curdled bits.